Canada's main stock index posted its strongest four-day gain in three years Wednesday as it was propelled by a large increase in the price of crude oil and the Bank of Canada's latest rate announcement. The Toronto Stock Exchange continued its rebound from a dreadful autumn and tough December helped by positive news about the trade dispute between China and the U.S. and minutes from the Federal Reserve confirming its patience about raising interest rates, says Anish Chopra, managing director with Portfolio Management Corp.
"A fantastic four-day stretch," he said in an interview. The S&P/TSX composite index closed up 199.58 points to 14,804.73 in a broad-based rally that saw all sectors rise. It was the third day of triple-digit gains so far this year and the best four-consecutive day performance since January 2016. "There seems to be a lot more optimism about a U.S.-China trade deal and when it comes to Federal Reserve interest rate hikes it appears to be that they'll take a pause," Chopra said referring to minutes released from the central bank and recent comments from several bank governors. The cannabis-heavy health care sector rose by 6.25 per cent as Canopy Growth Corp. surged 13.3 per cent, while Aurora Cannabis Inc. and Aphria Inc. gained 7.3 and 6.2 per cent respectively. The key energy sector followed, with financials, industrials and materials also rising. 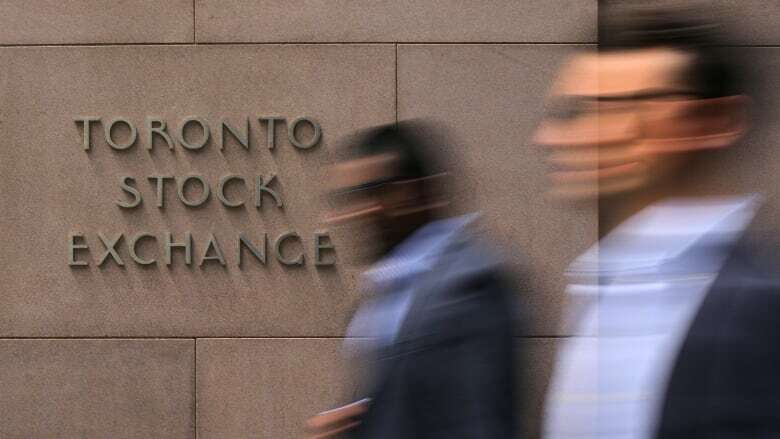 Financial and energy stocks were the biggest gainers on the day led by Sun Life Financial Inc., Royal Bank of Canada, Manulife Financial and Suncor Energy Inc. Meanwhile, BCE Inc. and Nutrien Ltd. lost ground while Imperial Oil and TransCanada Corp. posted small gains. The energy sector was helped again by crude oil prices, which rose on Saudi Arabia's energy minister reassuring that its oil production and exports are falling sharply. West Texas Intermediate prices are up 23 per cent from its December low. The February crude contract was up $2.58 US at $52.36 per barrel Wednesday and the February natural gas contract was up 1.7 cents at US$2.98 per mmBTU. Canada's financial sector was helped by the Bank of Canada's decision to hold its key rate at 1.75 per cent while the economy absorbs softness from a 44 per cent drop in oil prices from its October peak. "The banks tend to be a play on Canadian GDP growth and with the Bank of Canada having a supportive stance to keep the Canadian economy running smoothly that's certainly positive for the banks," said Chopra. In New York, the Dow Jones industrial average gained 91.67 points at 23,879.12. The S&P 500 index was up 10.55 points at 2,584.96, while the Nasdaq composite was up 60.08 points at 6,957.08. The Canadian dollar traded at an average of 75.64 cents US compared with an average of 75.23 cents on Tuesday. The February gold contract was up $6.10 at $1,292 an ounce and the March copper contract was up 0.1 of a cent at US$2.66 a pound.